The World's Greatest Detective in the mirror of culture. 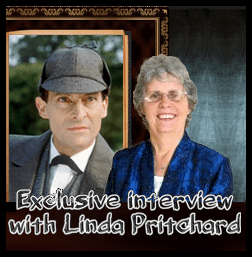 New articles: Sherlockian what's new? 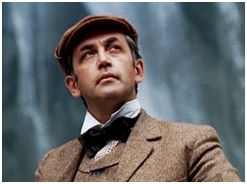 Many people may ask: does the world really need another website about Sherlock Holmes? We, the editors of the site puzzled a lot over the idea too. But since our Hungarian Holmes site intrigued people who do not speak the language, it encouraged us to have an English version. Of course the page does not want to act as a competitor opposite the countless Sherlock Holmes sites. Our sincere appreciation towards the hard work behind them. We will pay special heed to Sir Arthur Conan Doyle, the unique creator of Holmes and to his oeuvre. The Internet is accessible for many people. Our hope is to support the recognition of the real Sherlock with authentic information. Holmes is the symbol of hope. We strongly believe that nowadays many people need the hope what his character represents. We would like to deal with the Great Detective in a deeper and more comprehensive way. Our aim is to show the phenomenon of Holmes as detailed as possible with its numerous respects, and also would like to show the effects this character exerted on many aspects of life and arts. Sherlock has lots of cultural virtues - it is a feature of his we really love. We try to set a high standard with our articles. Hopefully we delight Sherlockians, Holmesians and Sherlockology fans. The topic of Sherlock Holmes is enormous, it takes lots of time to elaborate it. We do our best and we do hope that our visitors will always be delighted. It is not among our plans to create a Facebook website for our page, and we are not present on any microblogs. Sir Arthur Conan Doyle wrote the canon. EVERYTHING else is fanfiction. Please add to your bookmark/favorites!